Seeking to expand your mastery and defeat your foes? 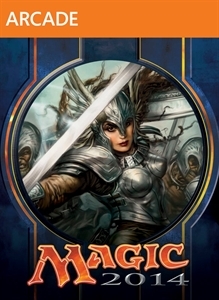 This Magic 2014 Deck Pack includes two brand-new decks for Campaign and Multiplayer play. Wake the dead! The creatures of the blue and black “Unfinished Business” deck refuse to rest in peace. Your spells will bring them back from beyond the grave to exact vengeance against your enemies. The white “Bounce and Boon” deck keeps your opponents on their heels with a constant stream of life gain and battlefield manipulation. Summon creatures that enter the battlefield with a bang—then summon them again and again!